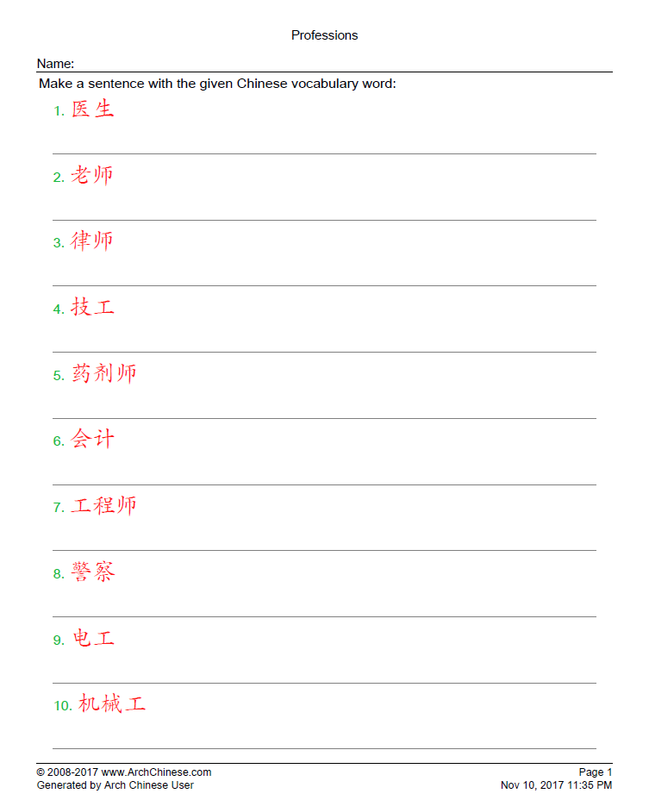 This simple tool allows Chinese teachers to create sentence making worksheets. 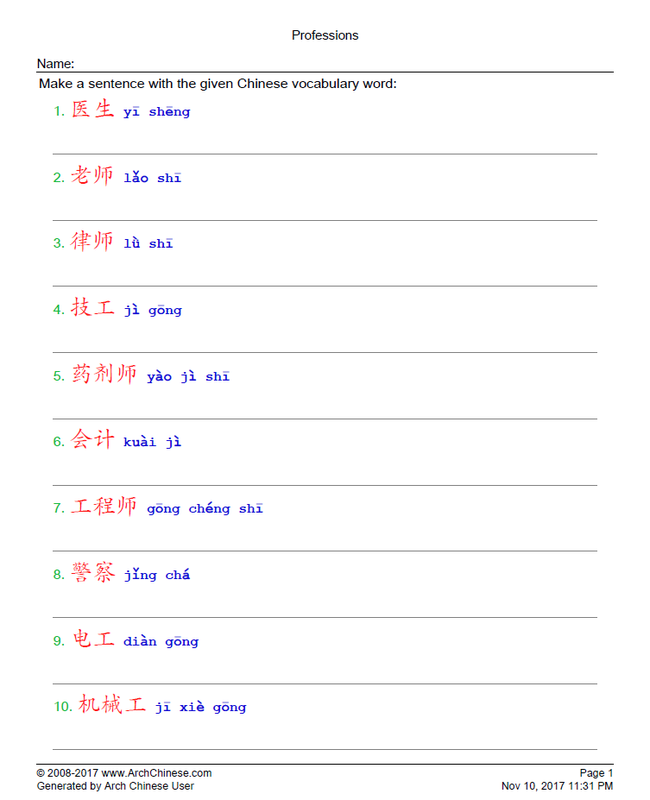 The students can use them to make complete Chinese sentences with the given Chinese vocabulary words. The worksheets are great for homework or independent work time. Enter the title of the new worksheet, such as Chinese Homework #1. The title will be shown at the top of the generated worksheets. It is also used to identify the list when you save the list to the server. Optionally, change the default worksheet settings. The settings are self-explanatory. Click the Save button to save the word list you entered for future use.